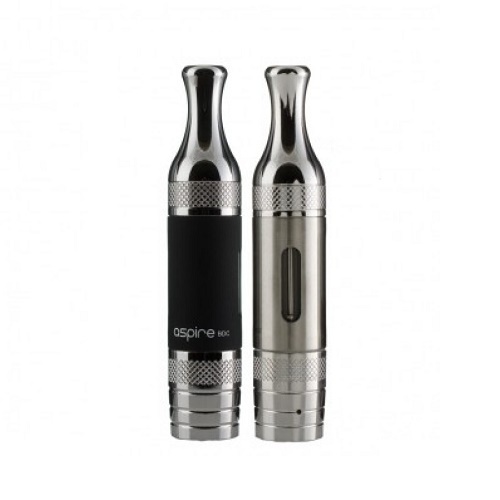 The Aspire BVC ET-S Clearomizer is one of the most cutting edge e-smokes to have hit the market in recent times. With its dual heating coils, it provides twice as much vapour as its single coil competitors. Two holes on the sides of the coil siphon the e-juice, eliminating the need for wicks, and it has a capacity of almost 3.0ml. Many clearomizer connoisseurs claim the Aspire BVC ET-S is the smoothest, most satisfying vape they have ever experienced. This is due to factors like the better tasting vapour, lack of drag and leaking, and pioneering airflow system.